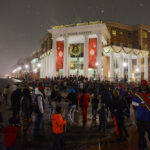 In 2005, High Point University President Nido Qubein announced a plan to transform HPU. 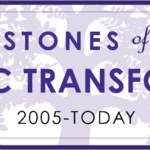 More than a decade later, this transformational institution has expanded academic programs, improved academic facilities, technology, student housing, student life, athletics and more. The transformation was strategically designed to provide students with an extraordinary learning environment. 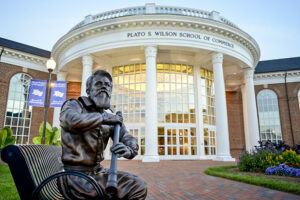 HPU is first and foremost an institution of higher education, but there is more. 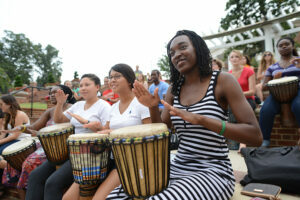 The HPU “experience” creates an inspiring environment that compels students to learn, grow and create value. It’s about creating an atmosphere that educates students from within. People rise to the level of environment in which they live. Whether students are in class, a residence hall or one of the library learning common spaces throughout campus, students are consistently surrounded by excellence. The facilities at HPU, including the 43,000-square-foot Cottrell Hall or the LEED Certified School of Education, foster academic success. The trading room features a live stock ticker and trading software; executive boardrooms allow students to present themselves in a corporate setting; two TV studios equipped with state-of-the-art technology ensure students will be comfortable in a real-world newsroom. Another new facility on campus is Congdon Hall, home to the Congdon School of Health Sciences and Fred Wilson School of Pharmacy. At $120 million total, these programs and this facility reflect the single largest investment in HPU’s history. Students have already begun to study in the state of the art laboratories such as the Human Biomechanics and Physiology Lab, the Virtual Reality and Clinical Gait Analysis Laboratory and much more. 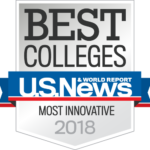 These facilities are one of the many reasons why U.S. News and World Report ranks HPU the Most Innovative College in the South. HPU students learn from the world’s top executives and thought leaders. These include commencement speakers such as Josh Groban and Condoleezza Rice, as well as National Board of Advisors members including General Colin Powell, Apple co-founder and HPU’s Innovator in Residence Steve Wozniak and other distinguished visionaries. When students meet with these accomplished leaders, something beautiful happens: they discover the art of the possible. These innovators become advocates for the success of our students — real people with real words of advice, stories of failures and success, and encouragement. The impact on the students is profound. The simple lesson learned — I can do it. He goes on to tell faculty and staff on campus, “We live, they watch, they learn.” It means that students are paying attention to their actions, and they need heroes, models and mentors to positively influence their lives and actions. That’s why HPU creates an atmosphere of excellence. When faculty and staff choose to be extraordinary, they model values of service, joy, generosity, gratitude and respect. When students are surrounded by peers who have a positive attitude, they begin to understand that nothing is impossible for the individual who is willing to work hard enough and smart enough. And when students graduate and pursue professional careers, employers see the distinct differentiation in candidates who embrace excellence. Flags from more than 52 nations fly along the Gene and Jane Kester International Promenade to honor each international student’s home country. Quotations, selected by faculty, provide ideas for reflection. Sculptures of significant historical figures inspire students to pursue their goals. The Mariana H. Qubein Arboretum and Botanical Gardens bring holistic learning to life throughout HPU’s 440-acre classroom. For example, assistant professor of political science Dr. Martin Kifer takes students on a guided walk around the Promenade, stopping at the sculptures of civil rights leaders. It prompts students to an intellectual, out-of-classroom discussion about how these leaders changed the course of history. 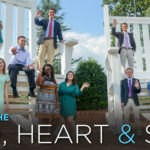 It’s just one of many ways HPU provides students with unique educational opportunities. 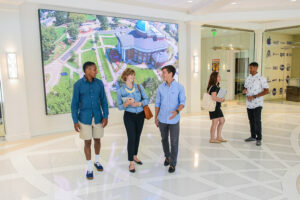 The HPU campus thrives on connection. There’s the Activities Fair, during which students get plugged in with clubs and causes that interest them. There are Greek organizations, which present leadership and service opportunities. There are guest lectures, concerts, theatre performances, art festivals and more to expose the HPU family and the community to the arts. There are 16 Division 1 athletic events to attend, dozens of intramural teams and 30 club sports teams on which to participate. All these events exist to teach students to thrive in collaborative environments, to build relationships and connect the dots wherever they go.